A quick glance at Twitter or any of the major e-learning providers’ websites will confirm that Learning Technologies 2017 was the event to be at last week. There are countless general reviews, round-ups, and assessments of the event being published as I write, so I’ll keep this brief and very much focused on localisation. And it seems to me that the e-learning industry is missing a bit of a trick here. 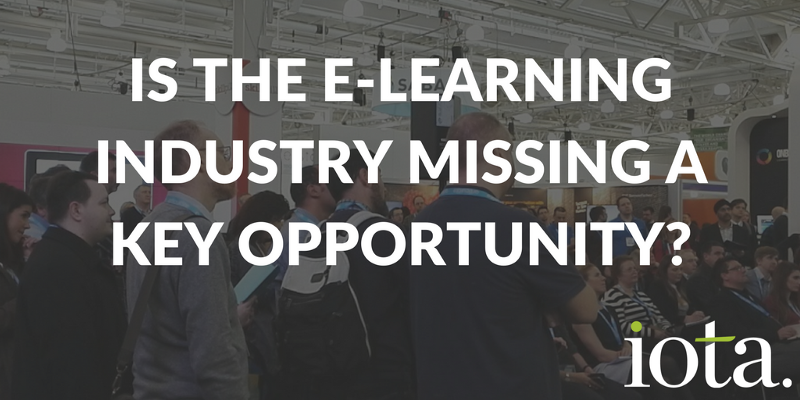 There were countless exhibitors pushing subtly different Learning Management Systems (LMS) and content solutions, but relatively few who set themselves apart from the crowd. Even fewer seemed to truly recognise the value of localisation to their corporate clients. Whilst most e-learning providers will provide ‘translated’ content to some extent, relatively few offer a sophisticated localisation solution that will meet the needs and expectations of a major global corporate. This isn’t limited to content-focused firms whose primary function is to provide off-the-shelf course content. It’s common to creators of bespoke programmes too. Relatively few have ready-access to localisation expertise that can integrate with their core team to produce premium e-learning resources that have been effectively translated and culturally adapted for use on a global scale. Virtually none have on-demand access to in-country subject matter experts, transcreation specialists, or localisation strategists. And that’s a shame. It reduces the amount of business they win from global businesses who see an international approach with careful local adaptation as crucial to their L&D activity. It limits their ability to add value and differentiate themselves from an increasingly homogenous crowd. As technology develops and we see more interactive content, more gamification, and dare I say it, more VR — the localisation challenge for e-learning companies will only grow. Any ambitious e-learning provider targeting the corporate market will need to partner with an experienced localisation partner at the earliest stage. Those that don’t, or who rely wholly on an internal team of translators, will find themselves side-lined by increasingly demanding and tech-savvy corporate buyers. To stay ahead of the game, you need to establish an ongoing relationship with a proven localisation partner. This should be based on a true partnership, with input from both sides at bid stage, collaborative pricing and solution architecture, and shared responsibility. Anything less, and you’re left with the old e-learning buyer / translation-vendor model which stifles innovation and encourages the production of cut-price programmes that fail to deliver. But what gives us the right to make such proclamations? A decade-long relationship with the largest SaaS solutions provider in the world is one. An ongoing responsibility to localise their software into more than 30 languages and their sophisticated e-learning assets into 5 languages for another. Not to mention a significant portfolio of high-profile Fortune500 and FTSE100 localisation clients for whom quality, flexibility, and accuracy are everything. There are many, many, exciting e-learning companies out there who are harnessing the very latest in animation, video, virtual reality and the wider tech ecosystem to produce innovative learning solutions. But crucially, they will find it increasingly difficult to win major corporate contracts if they can’t show localisation insight in their bids that mirrors the quality and sophistication of their core solution.